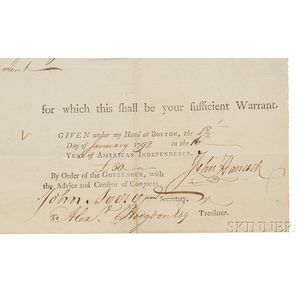 Warrant on laid paper, partially printed, fulfilled by hand. 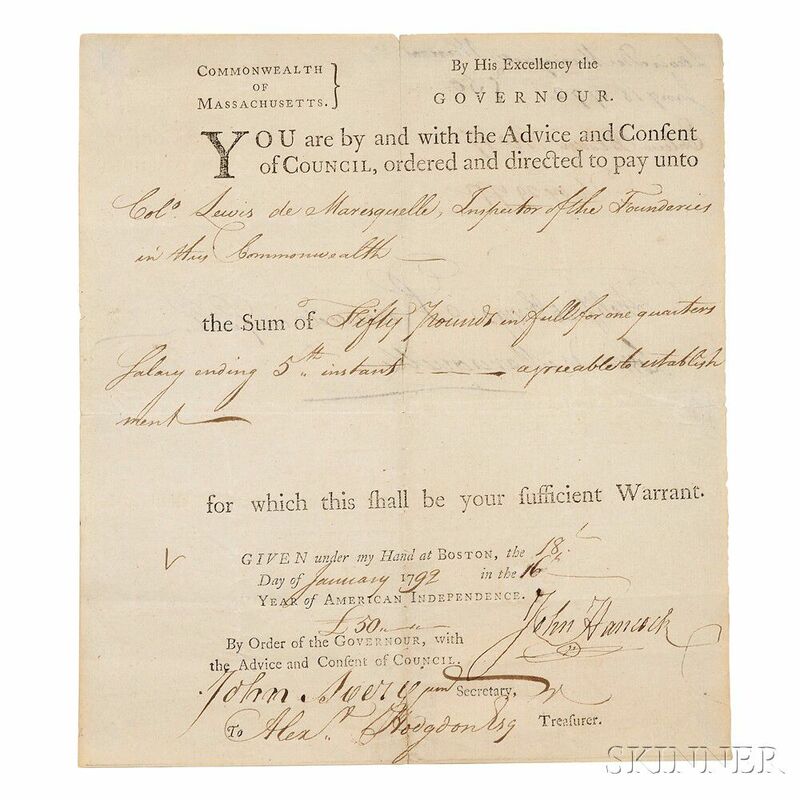 Ordering the payment of one quarter's salary (fifty pounds) to Colonel Lewis de Maresquelle [aka Lewis Ansart] (1742-1804), inspector of the foundries of Massachusetts. 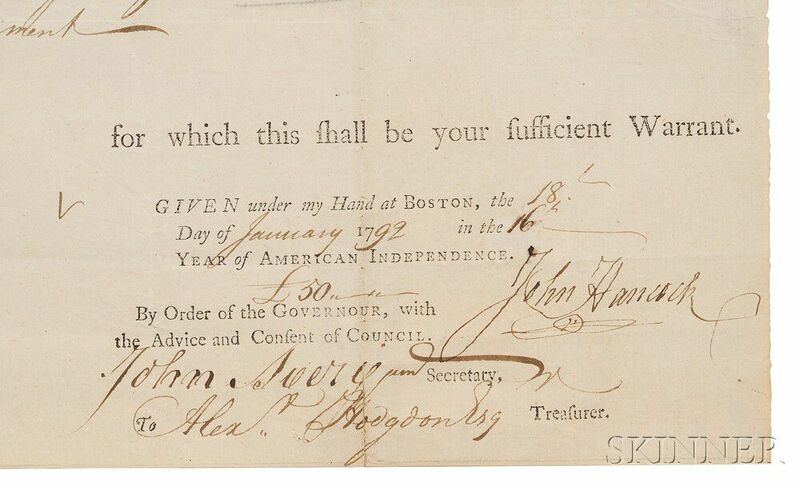 Countersigned by State Secretary John Avery Jr. (1739-1806) and State Treasurer Alexander Hodgson, matted and framed, with a portrait of Hancock, splitting along old folds, inscriptions on verso, 8 1/4 x 7 1/4 in.